Thanks again to the Trinka Davis Foundation, Director Marc A. Mcgill, MS., Jenny Sitzer and Jesse Brown Veterans Health Care System presenters, West Town (IL) Links Inc., VACCC, AARP, Sharva Hampton-Campbell, Major Olwatoyin Hines, PhD., Dignity Memorial, Rhine VFW Ladies Auxiliary, NWVU Team Leaders, donors and members, the vendors, volunteers, spectators and so many more for your support in which ensured the success of the 2018 Stand Down for Military Women Veterans where we provided services and resources to 119 Military Women Veterans! NWVU has also joined on with the America’s Heroes Group as a panelist and partner! 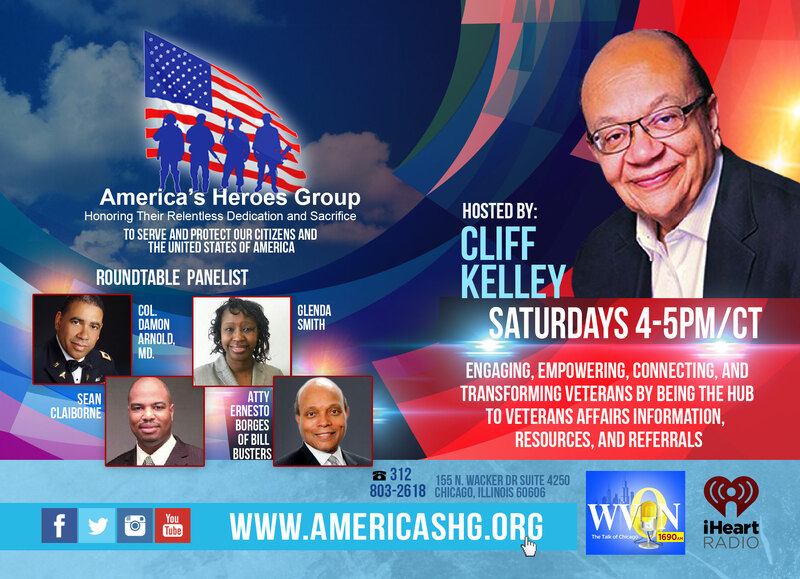 We are on WVON & I Heart radio stream each Saturday 4:00 p.m. – 5:00 p.m. as we talk about veteran issues, referrals and resource information. In such a short time there are more than 130,000 viewers! Consider being a Sponsor and share your organization, business and services. This entry was posted in News by nwvuwebmaster. Bookmark the permalink.